SALT LAKE CITY, Utah – The National GUITAR Museum has launched a traveling exhibit, “GUITAR: The Instrument That Rocked the World” – and HARMAN’s DigiTech is on tour with them with a demo station that lets visitors play with a complete DigiTech guitar pedal rig. “GUITAR: The Instrument That Rocked the World” is a celebration of America’s most iconic instrument and cultural icon. It’s a tribute to all things guitar – its evolution, engineering, design and impact. 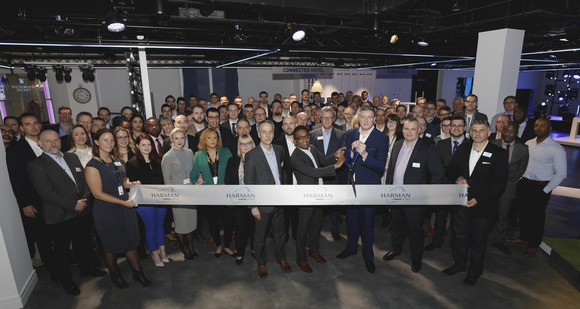 The Exhibition engages visitors in an experience that involves sight, sound, video, history and science and it’s far more than just guitars on the walls to gape at – there are plenty of interactive exhibits and guitar-related gear to touch and play. 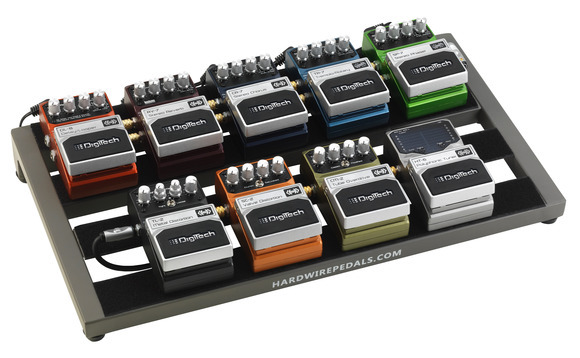 As part of the exhibit DigiTech supplied a pedalboard with eight of their most popular guitar effects. The rig includes six Hardwire pedals: the SC-2 Valve Distortion, CM-2 Tube Overdrive, DL-8 Delay/Looper, TR-7 Tremolo/Rotary, SP-7 Stereo Phaser and CR-7 Stereo Chorus. In addition, the setup features the JamMan™ Solo XT Looper and one of the most famed rock and roll pedals of all time – the DigiTech Whammy pitch-shifting pedal. “We are thrilled to be part of the National Guitar Museum’s exhibition and give attendees the chance to experience the wide range of sounds and effects a pedalboard can add to a guitar,” said Scott Klimt, marketing manager, DigiTech. “GUITAR: The Instrument That Rocked the World” is touring the U.S. from now through 2016 in Idaho, California, Hawaii, New Jersey, Ohio, North Carolina and Kansas. At the conclusion of the tour one U.S. city will be chosen to become the permanent home of the National GUITAR Museum. For more information please visit www.nationalguitarmuseum.org.